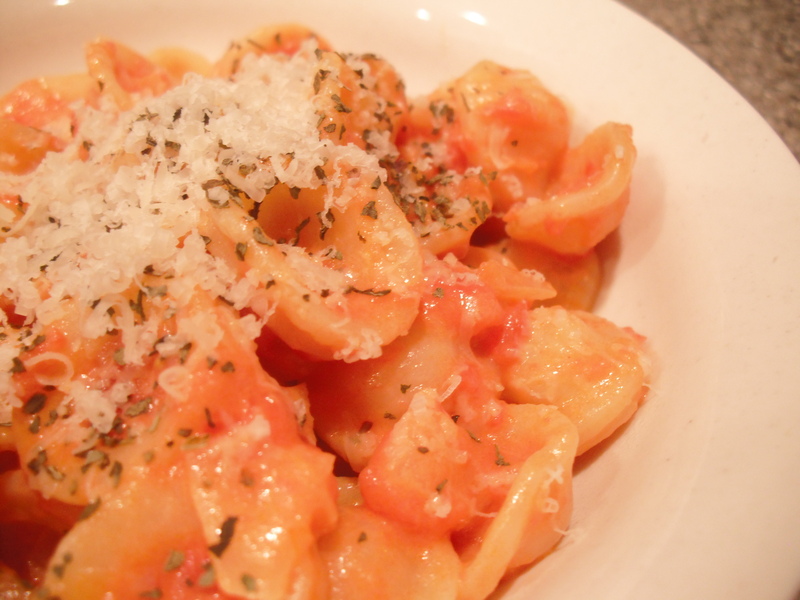 Orecchiette is a type of noodle, nothing fancy. This is a simple vodka sauce over noodles. Make the pasta. Save 1/4 Cup of the pasta water. In a food processor, chop up the whole tomatoes and measure out one cup. In a large pan, saute the onions and tomato paste in olive oil for about 10 minutes. After they soften, add the garlic and pepper flakes. Cook for 1 minute. Add the chopped whole tomatoes, cook on medium heat for a couple minutes to combine. Then add the alcohol. Allow to come to a boil and simmer off. Add the cream right at the end and cook for only a minute. If it’s too thick you can mix in the pasta water tablespoon by tablespoon until desired consistency. Pour the sauce over the noodles and top with basil and shredded parmesan. That looks so good! 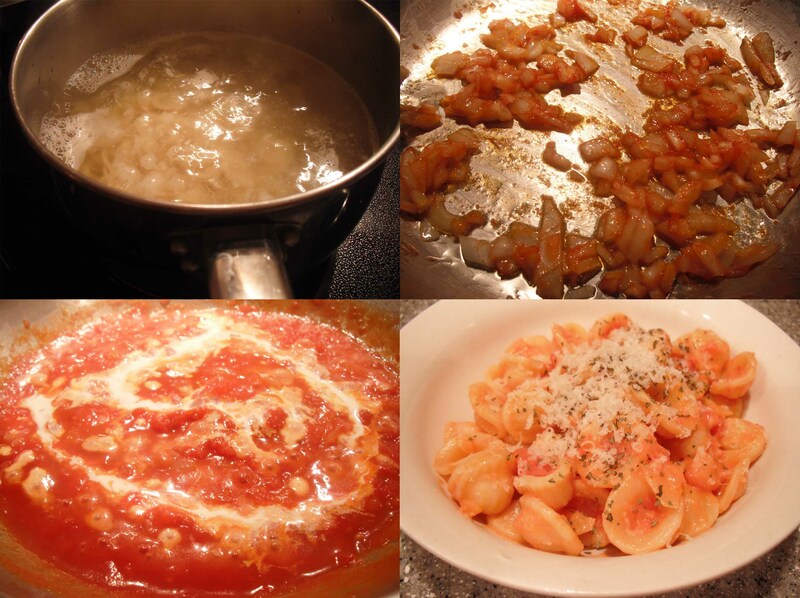 I love pasta and vodka sauce!